Force India Buyout- Father's gift to Lance? HomeSportForce India Buyout- Father's gift to Lance? Force India, the Formula One team co-owned by Liquor baron Vijay Mallya and Sahara Group, declares bankruptcy and goes into administration. Lawrence Stroll, Canadian Fashion investor and father of Lance Stroll, swoops in to buy the ailing team. As the brows of the fans go up in unison, we take a look at what the concept of "pay driver" is. Will the buyout propel Lance to greater heights? If so, whom should he thank to? 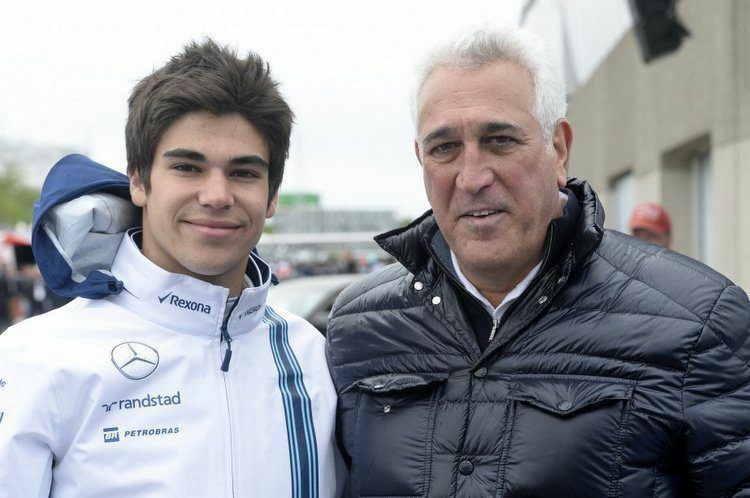 Lance Stroll was born with a silver spoon in his mouth- with his father being an avid collector of Ferrari, it is not surprising that his father's interests rubbed off on him. Abled by the support of his billionaire father, he successfully competed in the lower rungs of the motorsport before dipping his hands in the creme de la creme. He could have private sessions on the major tracks around the world, by the virtue of his father's deep pockets. The 19-year old secured one podium during his time at Williams. Although he drove a car that was vastly inferior to the pace setters, his accomplishment is hardly anything to write home about. The seat at Williams didn't come cheap- his father reportedly paid the team 80 million euros for securing his position in the team. His career doesn't look bad- even if his privileges really had boosted him ahead of his rivals. Have a look at his stats here. What is a pay driver? According to this author a pay driver is a person who literally pays the team for having a seat in the team. He may or may not have serious driving skills. Why do pay drivers matter? F1 is not an easy sport to be on top of- the teams are continually on their toes, striving to meet the regulations without compromising on the performance. A huge chunk of the money is spend on R&D alone. And this is the reason there is a huge gulf in performance between the big, factory owned teams when compared to the smaller teams. Pay drivers alleviate the situation of the minnows- they bring with them the backing of huge conglomerates, or occasionally, the governments around the world. This would level the playing field and give the smaller teams something to fight with. With the additional income, the teams may forego the services of apparently better drivers- a certain Rubens Barichello lost his position because of the reason. But, we should not villainize the breed yet- a certain rat faced driver bought his way into F1 team, who later went on to win 3 world championships. We know him as Niki Lauda. Even the great Schumacher had to pay Eddie Jordan to get his debut. Some of the contemporaries who are considered cash-cows are Fernando Alonso and Sergio Perez. They will hardly be referred to as pay drivers because they have proven their mettle- they have shown that they belong to the highest class of the motorsports. With a new management, the team is all set to be rebranded- trolls have suggested some hilarious names ranging from 'Strollari' to 'Force Stroll'. These names really encompass the implications. As the result of the buyout, the team will be flush with money. In this sport, having more money means having better chances to win. The current crew of 400 can heave a sigh of relief- their jobs are protected, at least for now. In conclusion, a fan should really be excited, for the reason that one more team is getting, you know, competitive. That the sport is not all about Mercedes-Ferrari-Red Bull trinity. If all goes well, we should see some progress next season. As you might have understood, the concept of paying to drive is nothing new- it has always been, and will ever be- unless the teams' budgets can be capped off by some new regulation. Yuck! nobody wants that tragedy to happen. The fans should really give the teen a chance to prove himself- put him in a good car, and the world will see how good he is. If he isn't, even his father's fat wallet won't be able to buy him a championship. Thank you. Readers like you keep me going.